We’re sure you have noticed the beautiful cherry blossoms starting to bloom as you take in the spring colors around us. 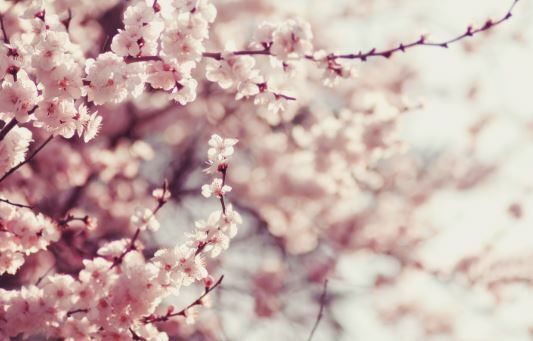 We bet you didn’t know though that New Jersey has more cherry blossom trees than Washington DC! There are even places close by to us here at Third & Valley that have Cherry Blossom Festivals! We have three events which you’ll want to attend this spring. Branch Brook Park which runs through Belleville and Newark has more than 2,500 Cherry Blossom trees which are in full bloom during April. The festival has live entertainment, food trucks and is great for visitors of all ages. Another festival we suggest going to is the Sakura Matsuri. This year marks their 35th anniversary and is held at the Brooklyn Botanic Garden. If you visit their website you’ll find a lot of information about these beautiful trees, maps where you can find them and videos of their previous Cherry Blossom festivals. New York Botanical Gardens also has over 200 Cherry Blossoms on display. You can visit their website for more info on exhibits and tours. You also still have time to catch their orchid exhibit which ends April 17th. All three of these locations are under 30 miles from your Third and Valley apartment!